Various attempts have been made to explain the current unprecedented popularity of vanilla-based fragrances. Many have tended to focus on the pleasant childhood memories associated with the smell of vanilla, its comforting milky warmth. Others have noted the appropriateness of vanilla scents for the 'softer, more caring' zeitgeist of the 1990s – as opposed to the thrusting, bullish 80s, when the fashion was for perfumes so overpowering that restaurants had to ban them because customers could not taste their food. Both of these factors have clearly contributed to the vanilla-boom. Scientists have been studying the intimate connection between olfaction and memory for some time – and the power of scents to evoke vivid memories has long been a favourite device of novelists and poets. Proust's Remembrance of Things Past opens with the most famous 'olfactory flashback' in literature, when the sweet aroma of a simple little cake releases several hundred pages of childhood memories – or what Proust calls 'the vast structure of recollection'. The 1990s-zeitgeist explanation also has its merits. Vanilla is associated not only with warmth, softness and caring, but also has connotations of purity and simplicity. The term 'plain vanilla', used by typesetters and graphic designers, means 'untouched' text – text in its natural, basic, original state, before designers have tarted up the headings, adjusted the margins, tinkered with typefaces, etc. This term is now often used outside the publishing world, and anything that is simple, pure, honest and unadulterated may be referred to as 'plain vanilla'. The Body Shop's vanilla fragrance, being pure vanilla with no other scents, is perhaps the most faithful expression of 1990s values. Vanilla fragrance makes you calmer. A study at Tubingen University in Germany showed that vanilla fragrance reduced the startle-reflex in both humans and animals. 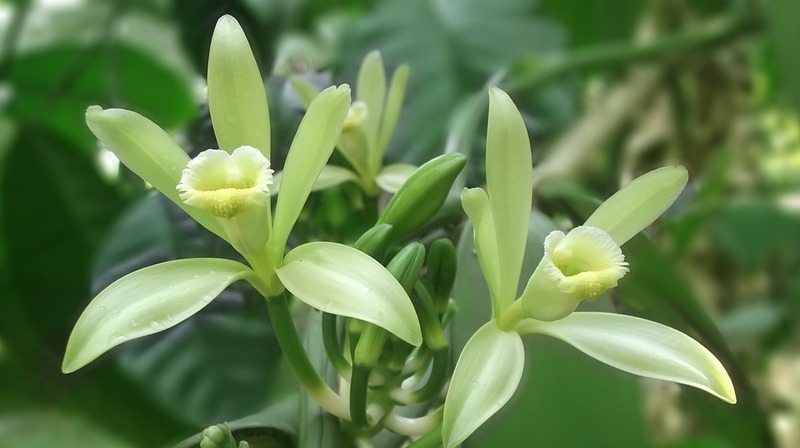 The animal results indicate that the calming effects of vanilla may be due to some more essential property of the fragrance than the 'positive childhood associations' usually invoked to explain its universal popularity with humans.